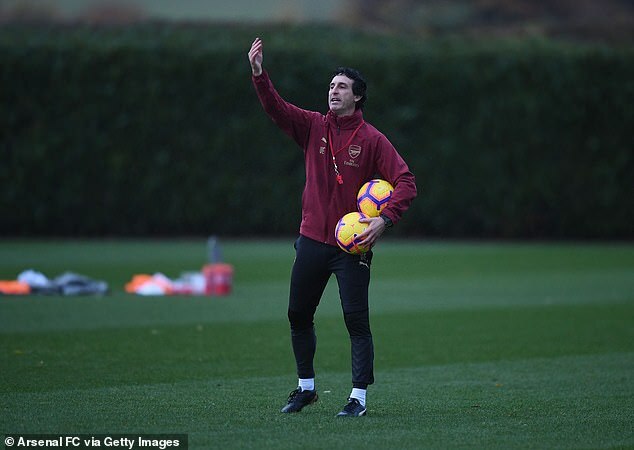 Henrikh Mkhitaryan believes manager Unai Emery has taken Arsenal to the next level after building on the legacy of Arsene Wenger. The Gunners have made a superb start to their first season under Emery, going 15 games unbeaten before Sunday afternoon’s Premier League clash with Wolves. Mkhitaryan, who joined Arsenal in January, said, ‘Emery has just built on the base Arsene Wenger built. ‘The players have accepted all the conditions, everything is what Unai Emery is expecting and asking from us. At the heart of that is a fearsome attacking quartet of Pierre-Emerick Aubameyang, Alexandre Lacazette, Mkhitaryan and Mesut Ozil. The four have fired in 20 goals. Emery started all four in the draw with Liverpool last week and could unleash them again against Wolves. ‘It makes your job easier,’ said Mkhitaryan.